The award recognizes partners that have strong sales growth, strategic alignment, solution selling and commitment to RAD solutions. Network infrastructure solution provider, FONEX Data Systems Inc., was recognized by RAD Data Communications, an award-winning manufacturer of service assured access and backhaul solutions, with the “Best Growth of the Year” award at its annual International Partner Meeting held in Jerusalem in October. This award recognizes partners that have strong sales growth, strategic alignment, solution selling and commitment to RAD solutions. Since its founding in 1989, FONEX has continuously delivered optimized network infrastructure design solutions to top industry service providers. FONEX’s collective knowledge of network architectures, industry standards and emerging technologies, are all used to design customized, innovative and cost-effective solutions that resolve customers’ technical and operational requirements. “The combination of FONEX’s sales, engineering, and managerial expertise provides them with a keen understanding of how to bring RAD Service Assured Solutions to the benefit of strategic accounts. Their expertise has not only earned them substantial sales growth and business success, it also earned them this distinguished award from among a pool of more than 150 of their peers worldwide,” stated Chris Fleming, RAD’s Director of Marketing Communications – North America. For over 15 years, FONEX has been a RAD Value Added Reseller (VAR) in their active channel sales program. Since joining forces, FONEX and RAD have consistently provided optimized network infrastructure solutions to Tier 1 service providers in Canada, Italy and France. During this time, FONEX has also been recognized by RAD as their top North American VAR multiple times. “As a solution-selling partner that is strategically-aligned with RAD’s vertical market focus, FONEX continues to expand and win new business with top-tier Canadian service providers, and has successfully extended their focus to develop and win sizeable opportunities in the Canadian power utility market,” said Dave Spellman, RAD’s VP of Channel Sales, North America. About FONEX Data Systems Inc.
FONEX is a leading carrier-class telecom equipment supplier focused on delivering optimized network infrastructure design solutions. We specialize in providing purpose-built access, metro edge and CPE fiber optic network solutions to network service operators with the latest cutting-edge devices from top industry manufacturers. With our combined collective knowledge and integration capabilities, FONEX provides the technical expertise needed to troubleshoot, analyze and design systems that achieve the best cost vs. performance solution for our clients’ requirements. We also offer network design and staging support services. FONEX supports organizations in Canada, US, France and Italy. For more information, please visit http://www.fonex.com. 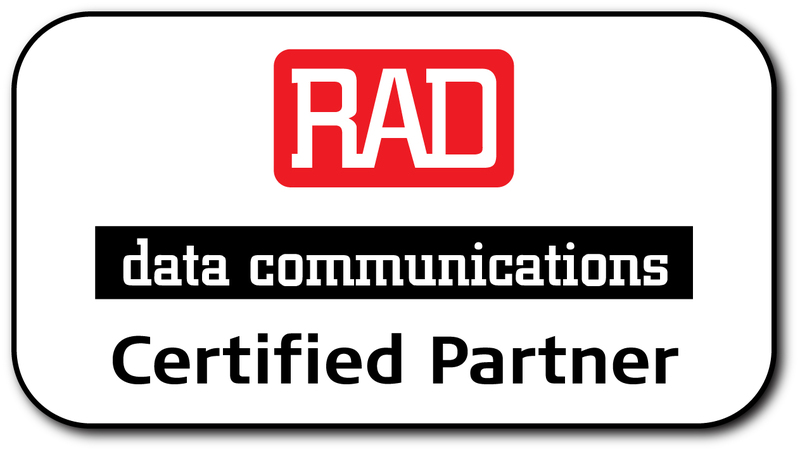 RAD Data Communications provides Service Assured Access solutions that reduce operational complexity and improve service profitability for retail, wholesale and mobile service providers, as well as evolutional migration solutions for service providers and power and transportation utilities, facilitating a smooth, secure and cost-effective transition to packet-based networks. RAD’s multi-faceted in-house technology embraces OAM and performance management; service assurance; traffic management; fault management; synchronization and timing over packet; TDM pseudowire; ASIC and FPGA development; hardware miniaturization; and SFP form-factor solutions. The company's installed base exceeds 12,000,000 units and encompasses more than 150 service providers around the world, as well as scores of power utilities, transportation systems and government institutions. RAD is active in industry standardization bodies such as the Broadband Forum IETF, ITU, MEF, and NFV ISG.